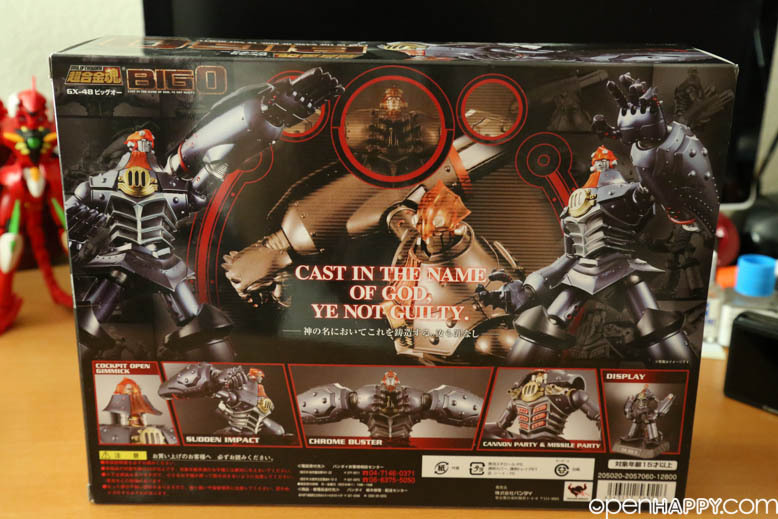 Cast in the name of god, Ye Not Guilty. 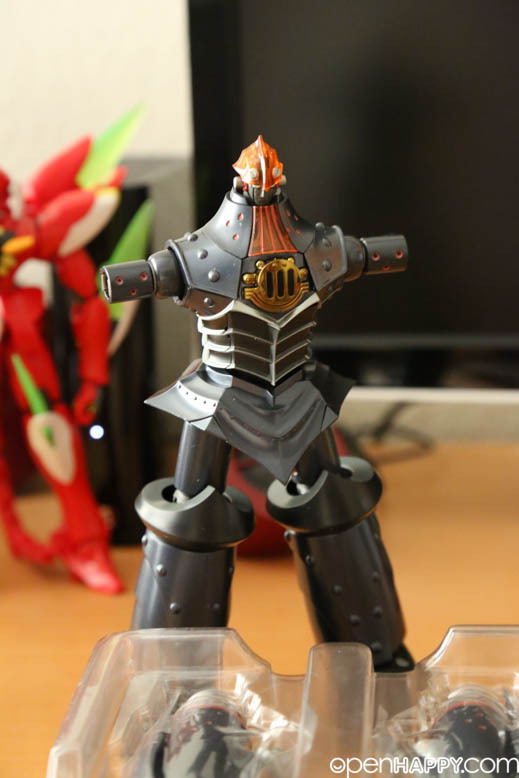 "It's showtime!" 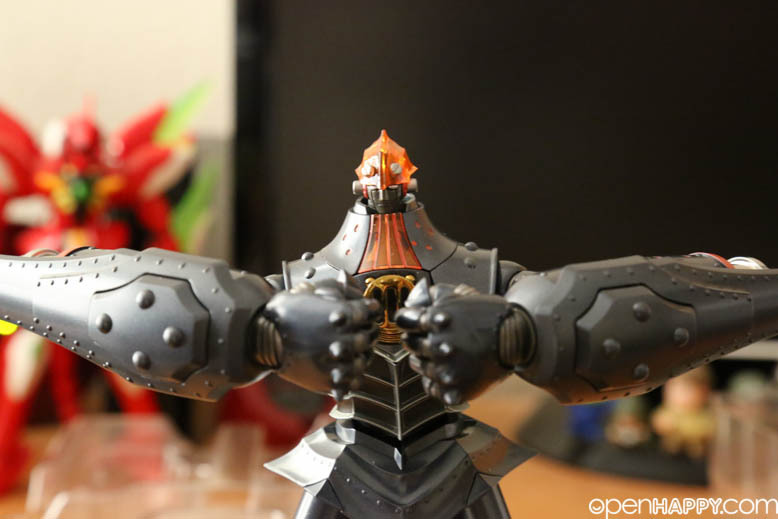 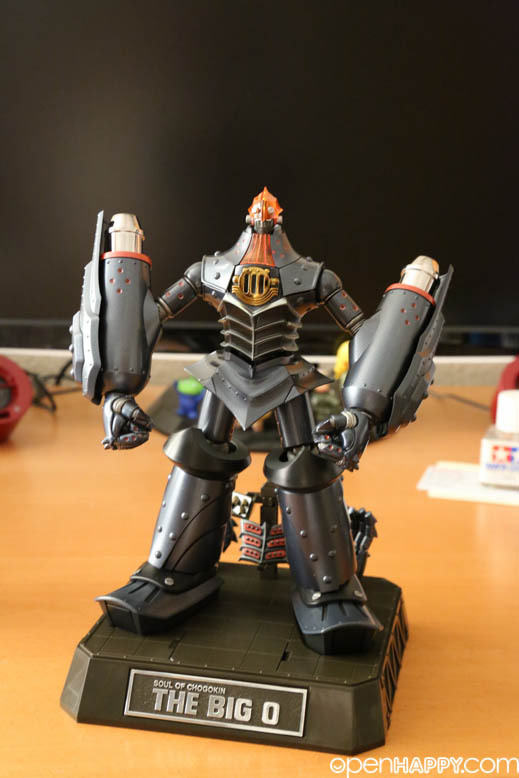 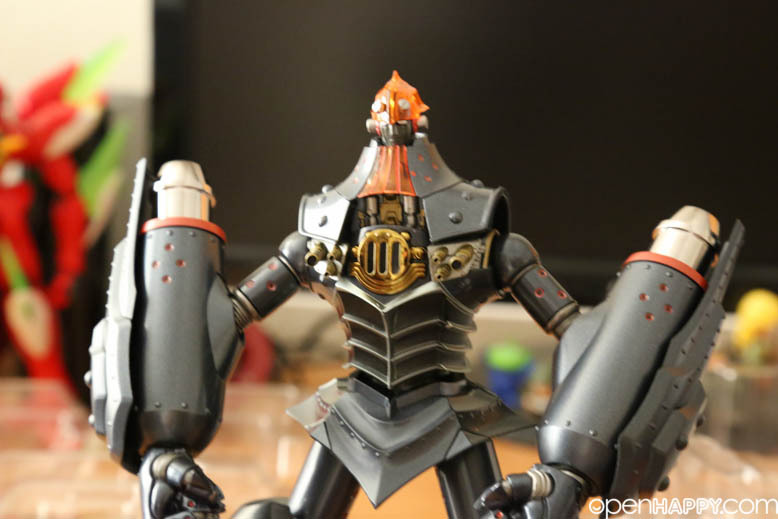 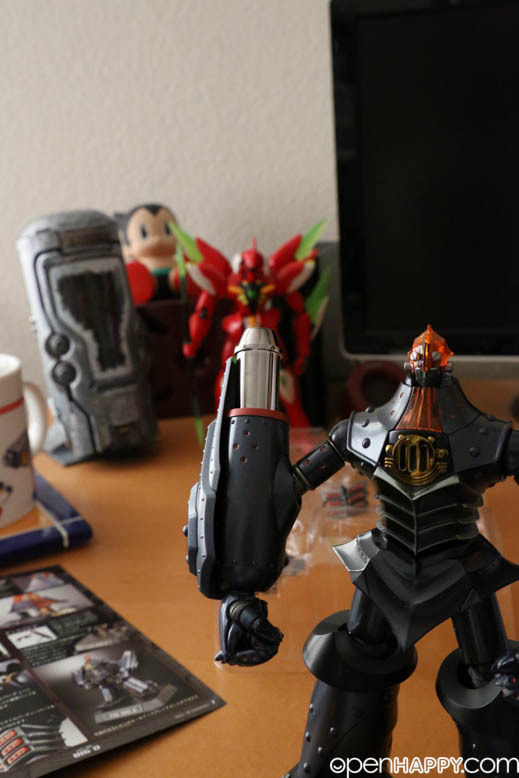 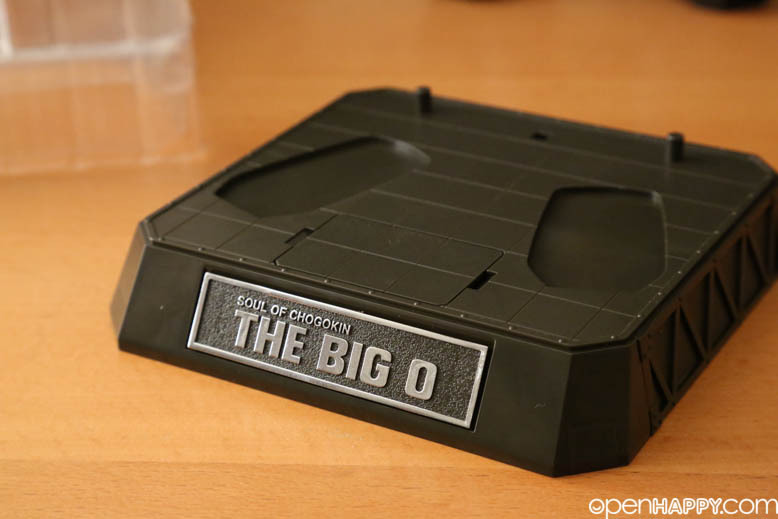 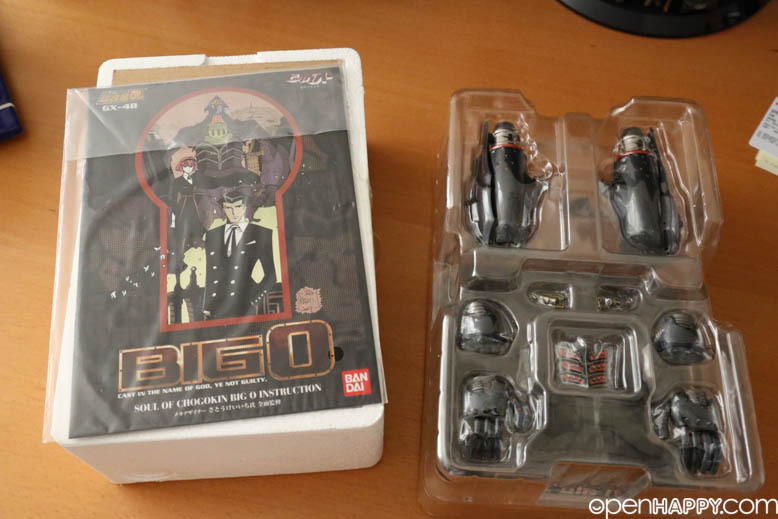 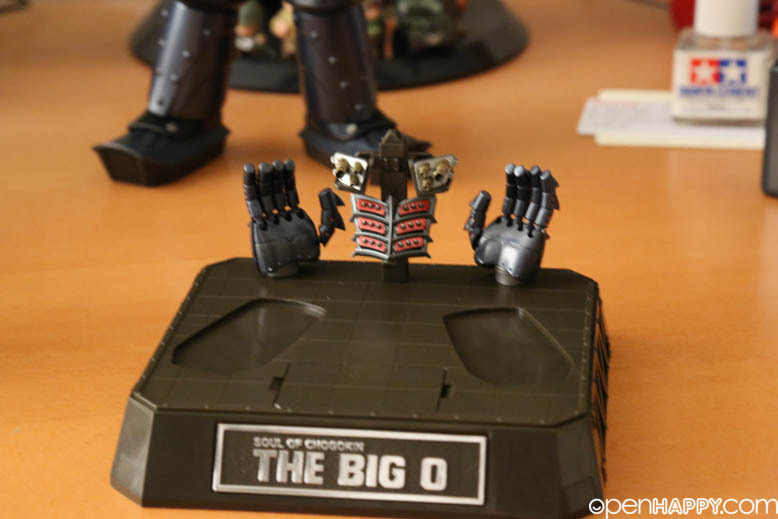 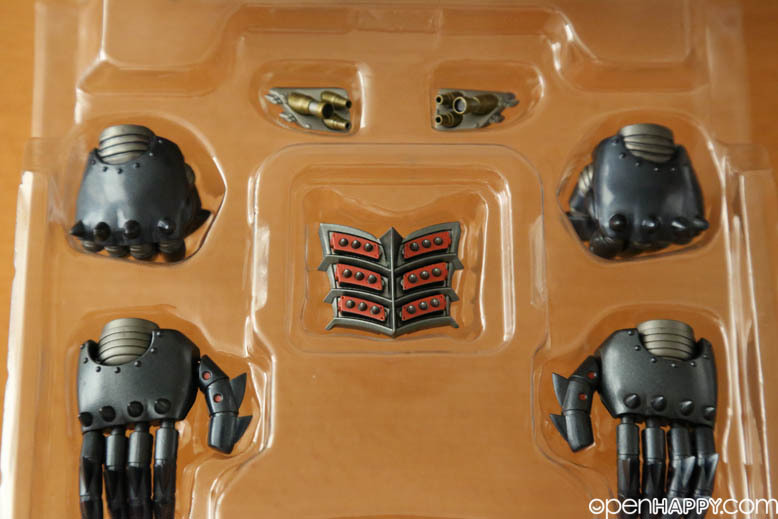 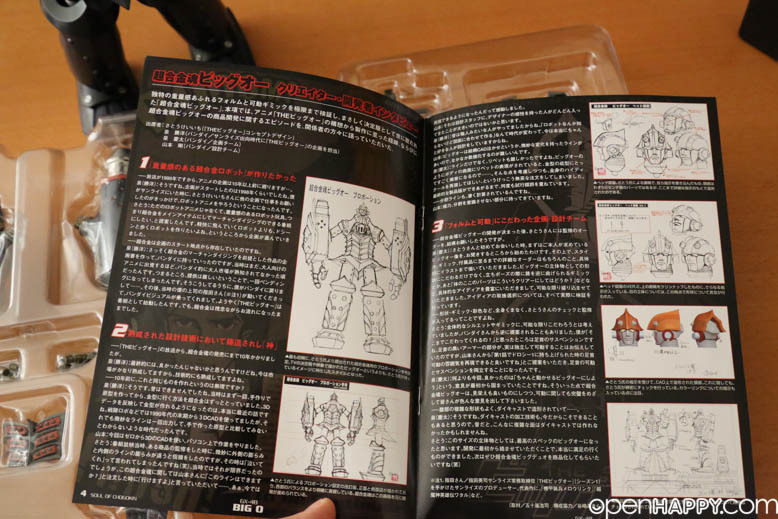 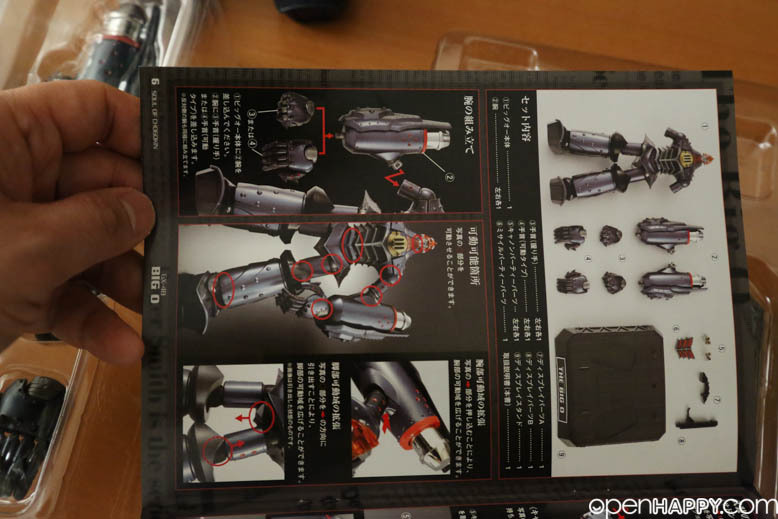 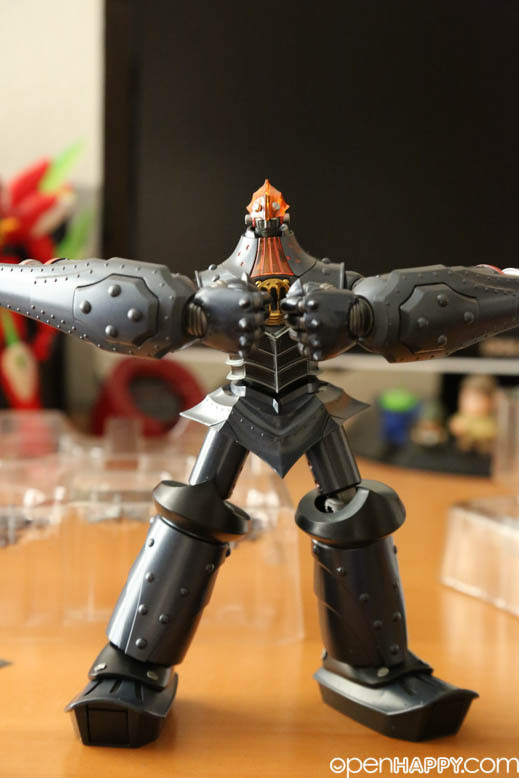 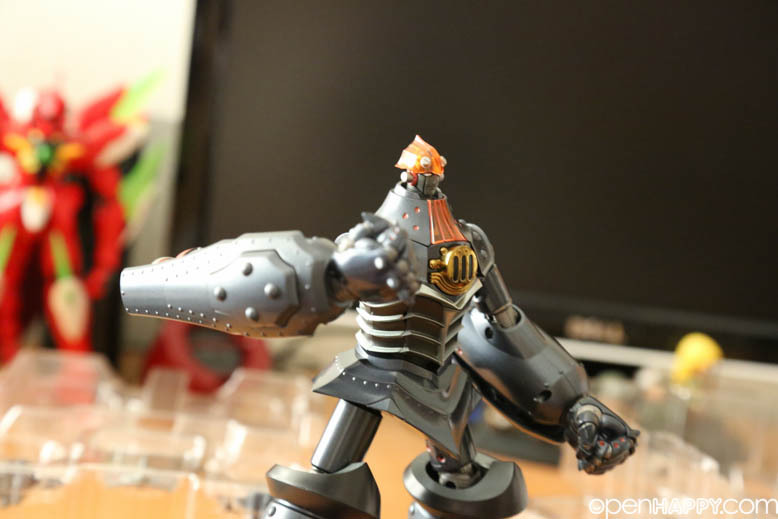 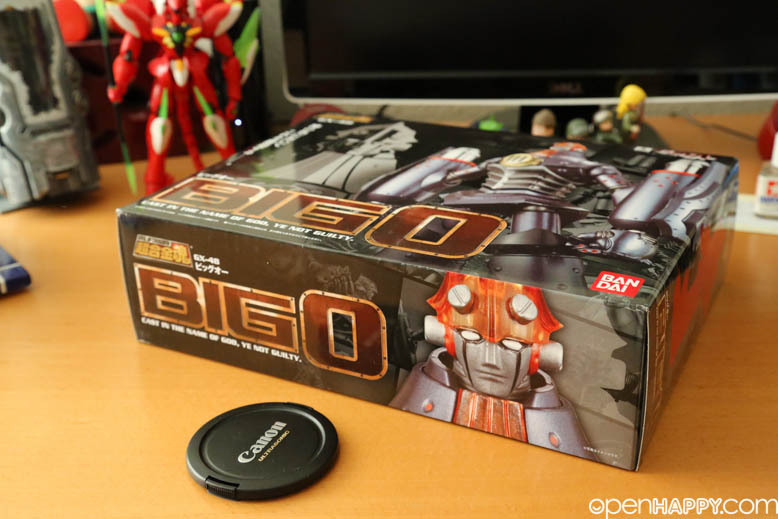 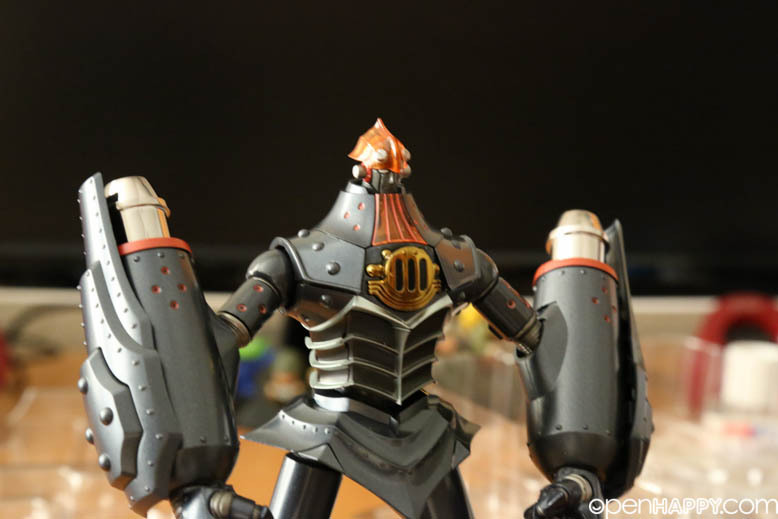 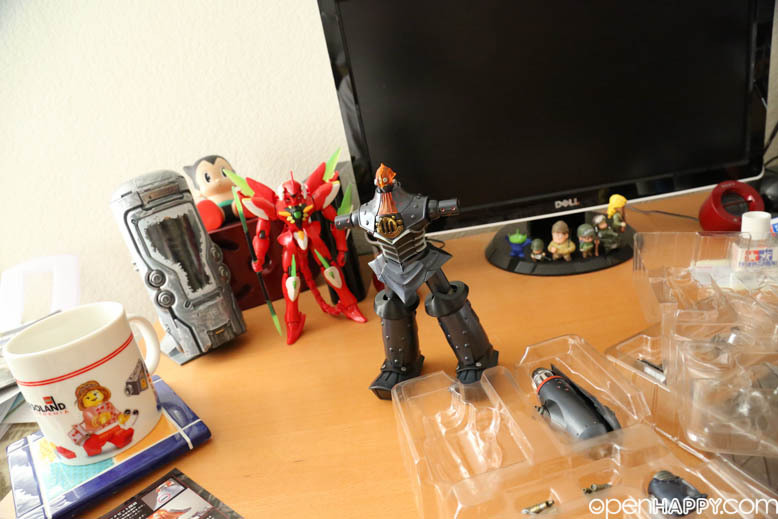 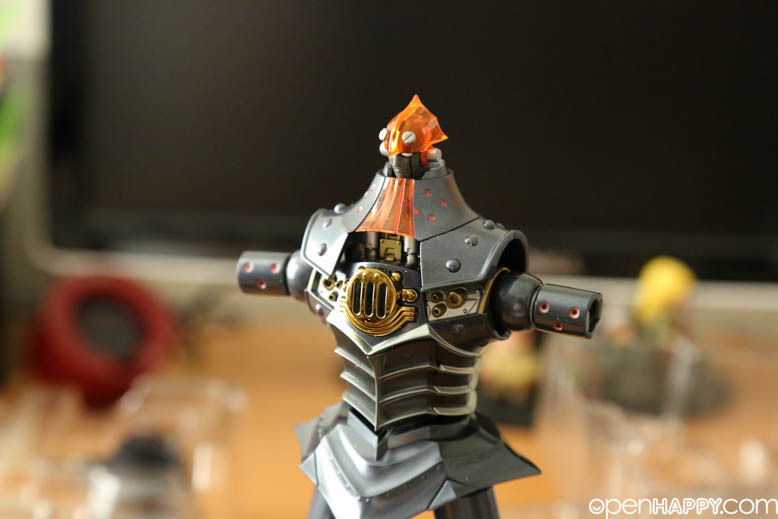 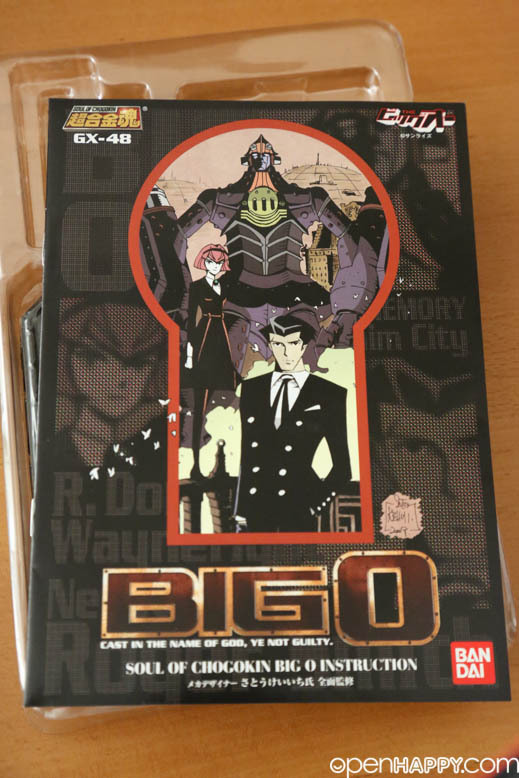 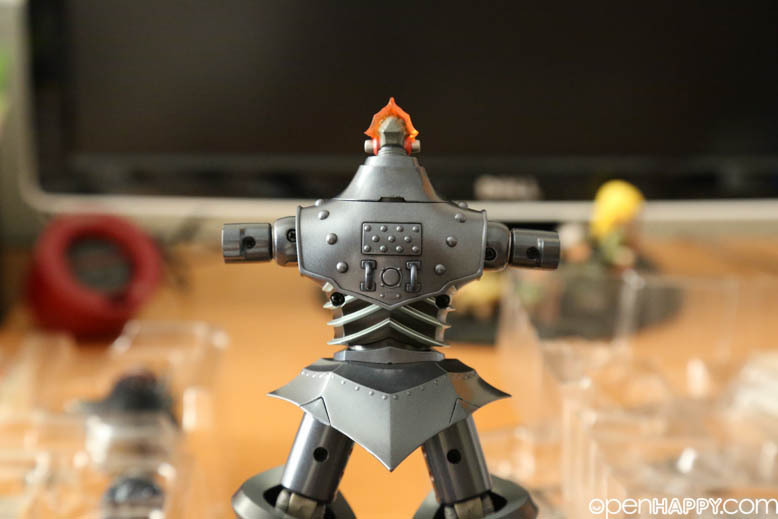 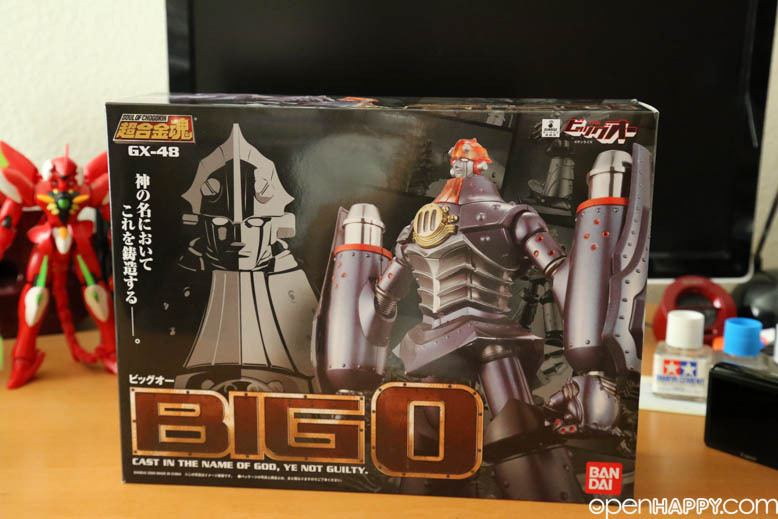 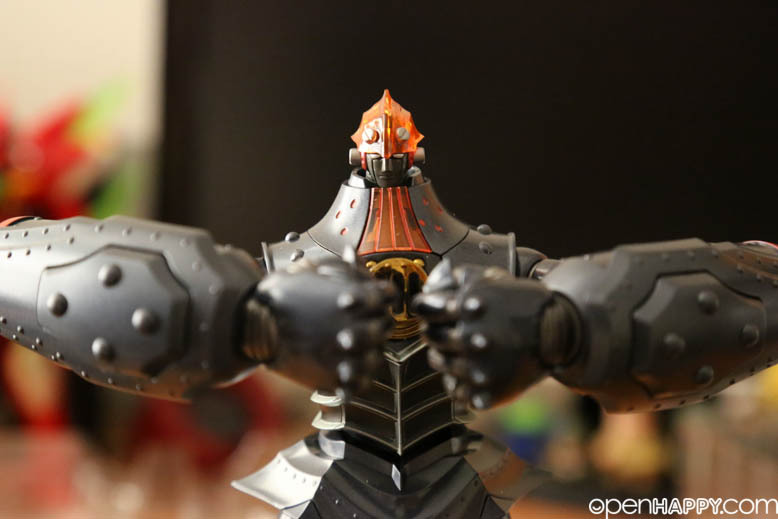 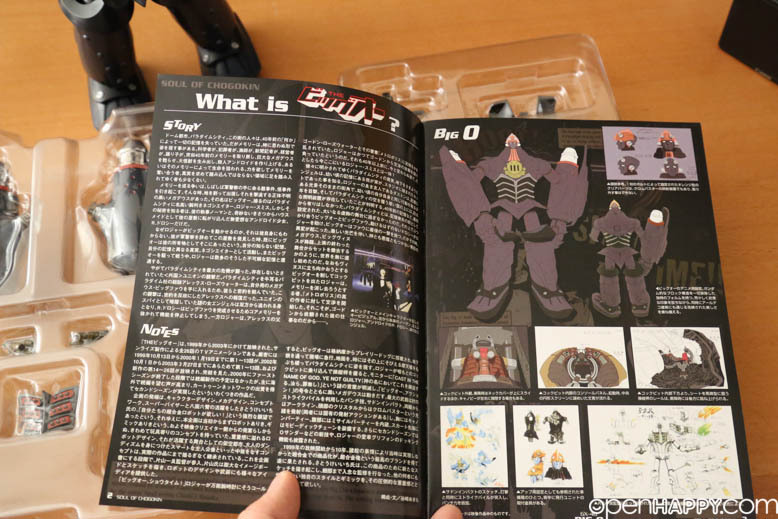 The iron giant Big O has finally gotten the coveted chogokin action figure treatment that fans have been wishing for! 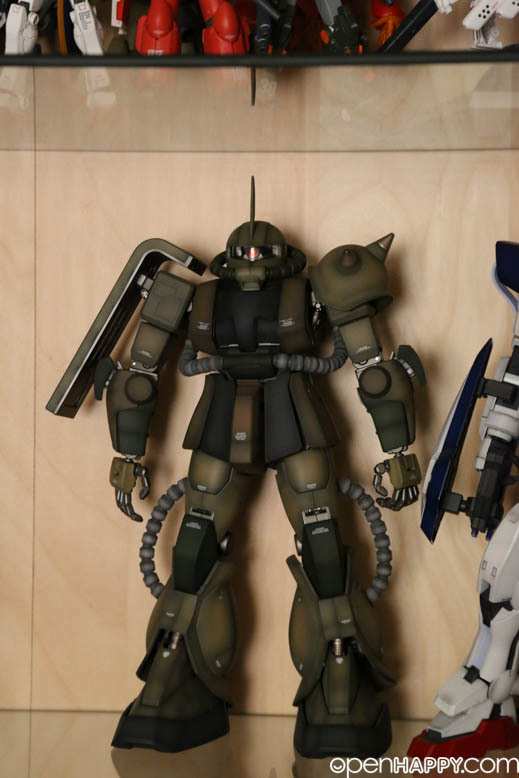 Not everyone loves the design. 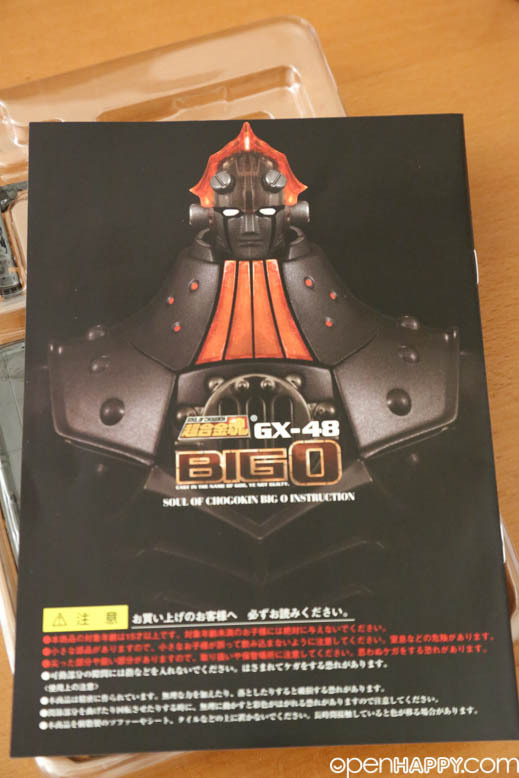 But I am a fan. 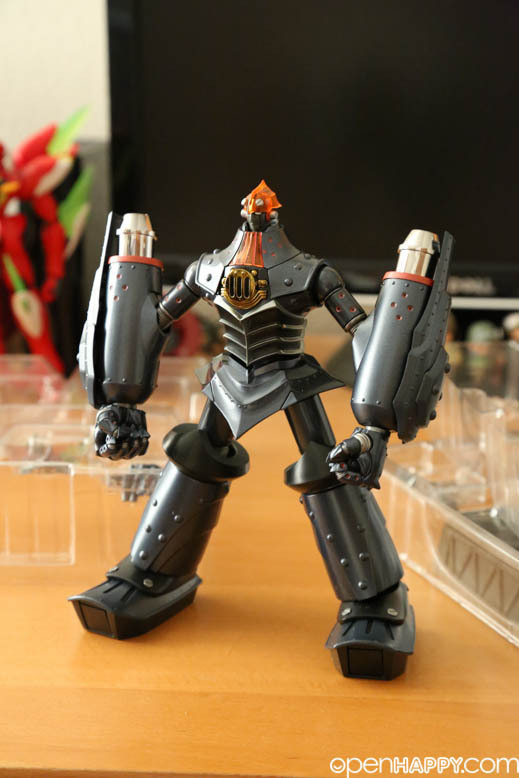 I like things that are different and here is one of them in this modern time. 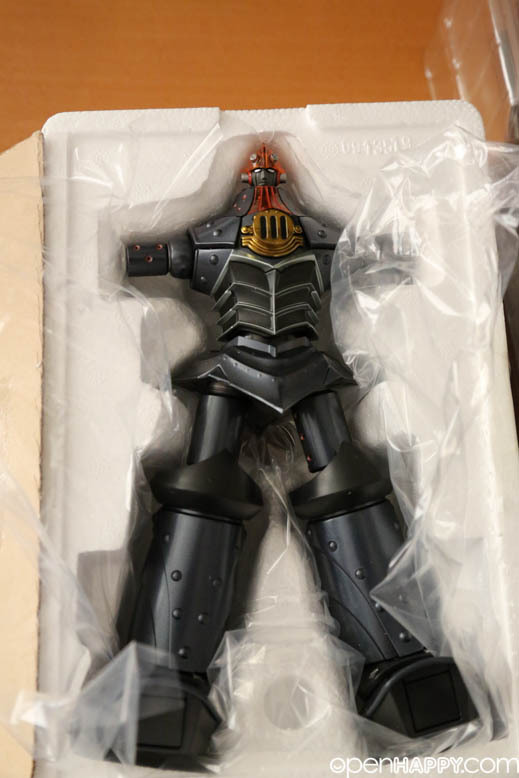 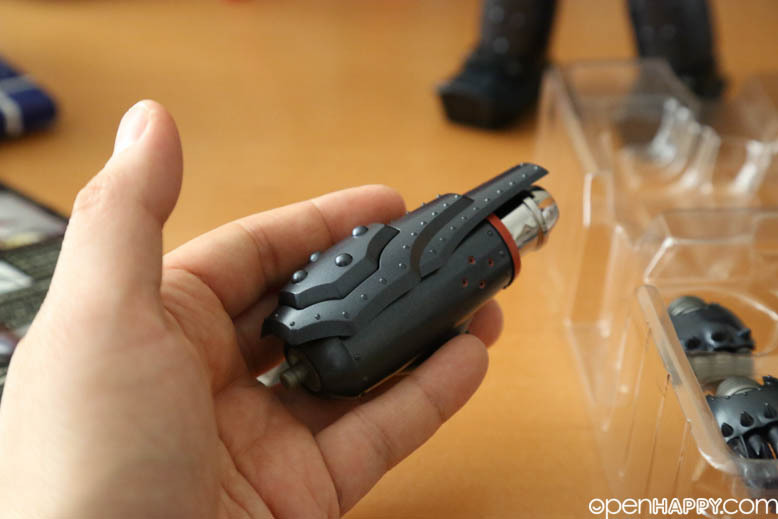 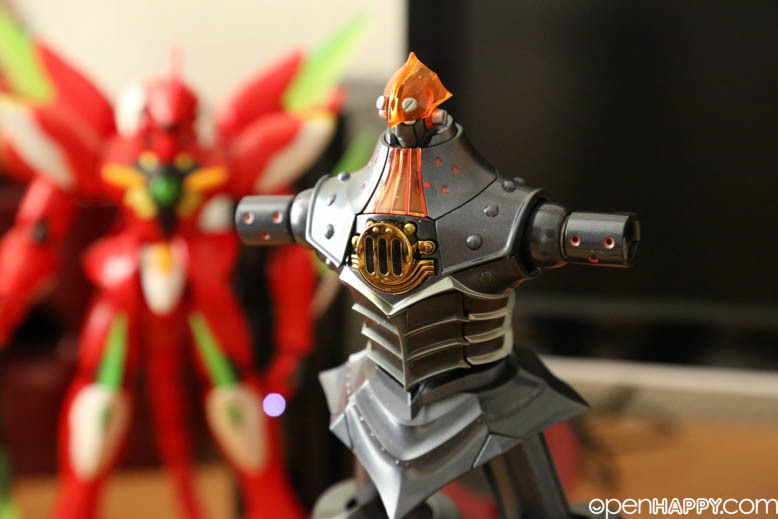 This full 22cm die-cast metal figure is produced under close supervision from Keiichi Sato, mecha designer of anime series "The Big O," to ensure accurate detailing. 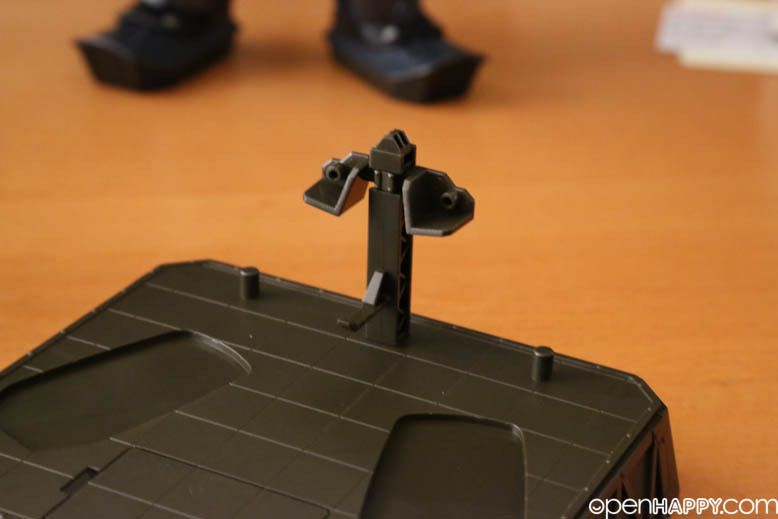 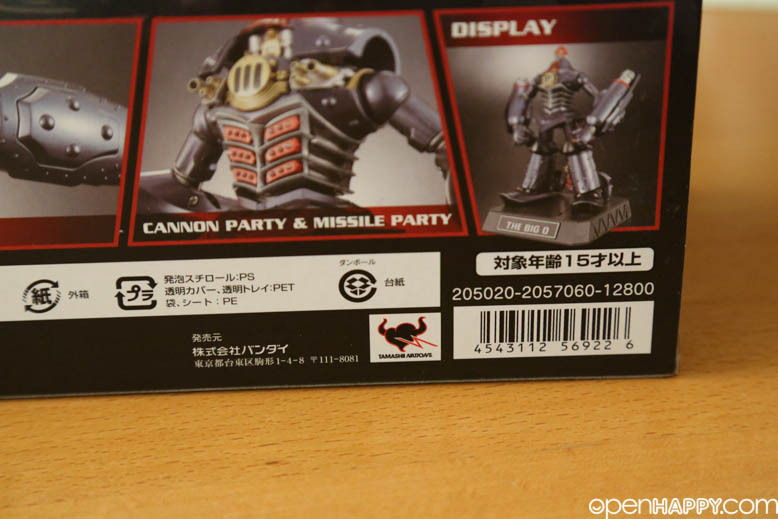 Fun features include slide-action Strike Piles on both arms to recreate its Sudden Impact move, an openable cockpit, and parts for its Cannon Party and Missile Party. 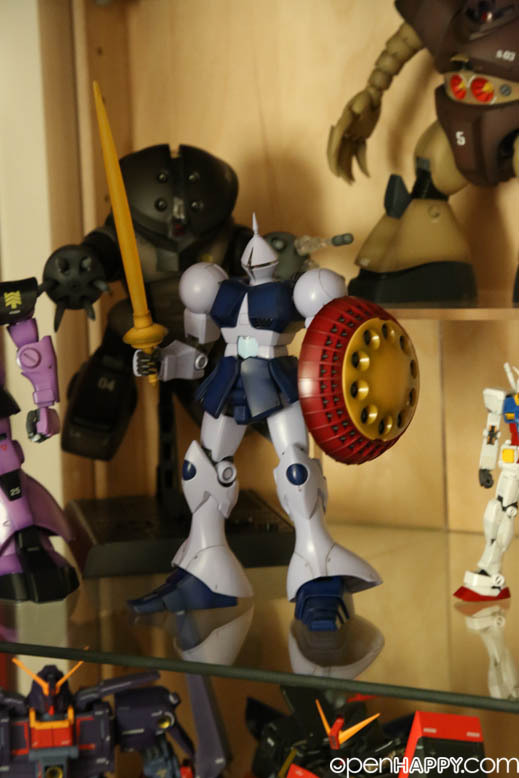 It is shorter than a 1/100 bandai MG, but still big in concept! 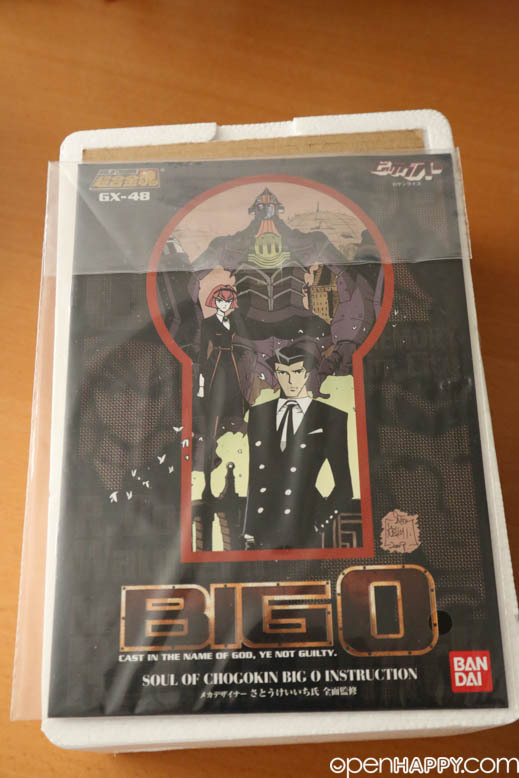 I actually love the anime. 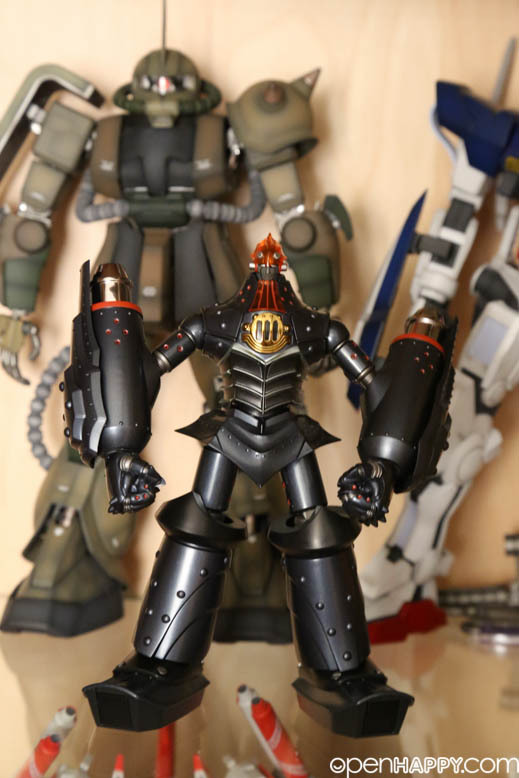 Nice design if you love the anime. 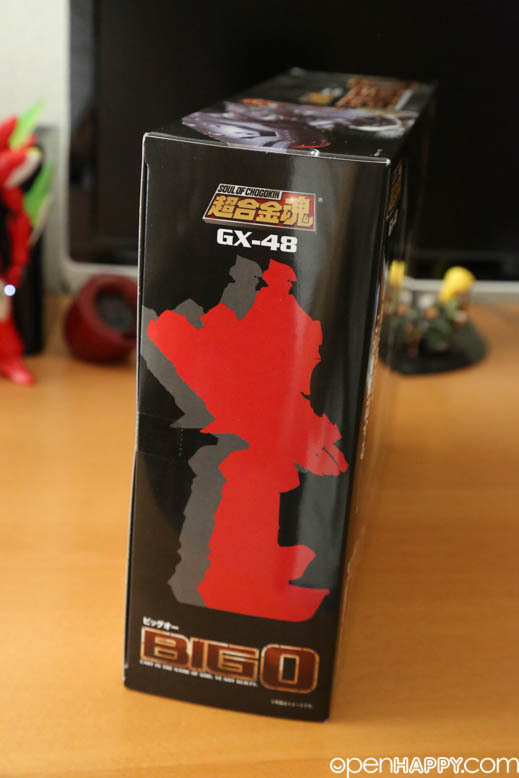 Some of my friends think the design is off the cup. 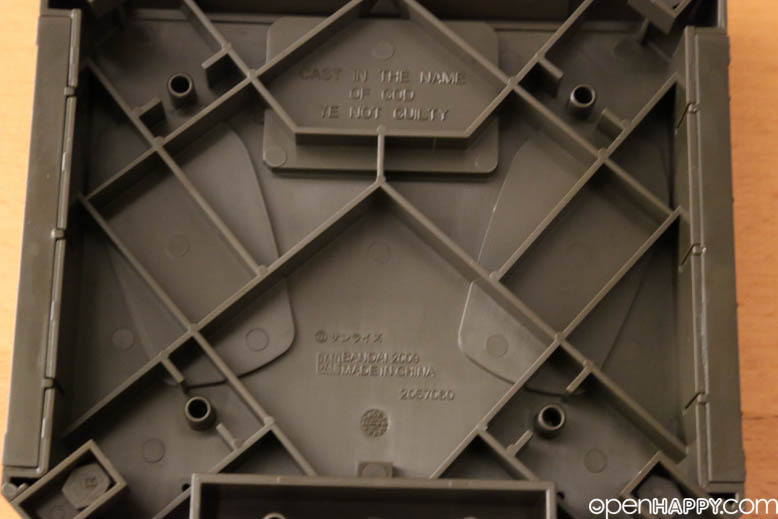 A nice two layer design is used to pack things. 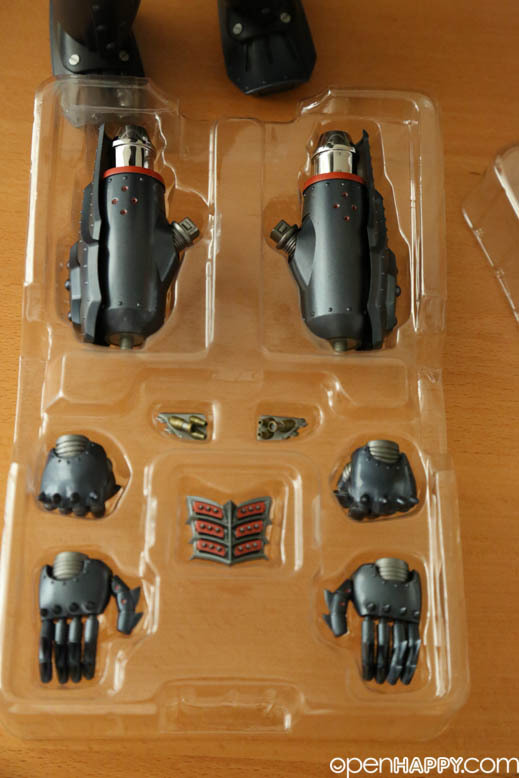 This is the basic set, I believe there is an expansion set with more weapons. 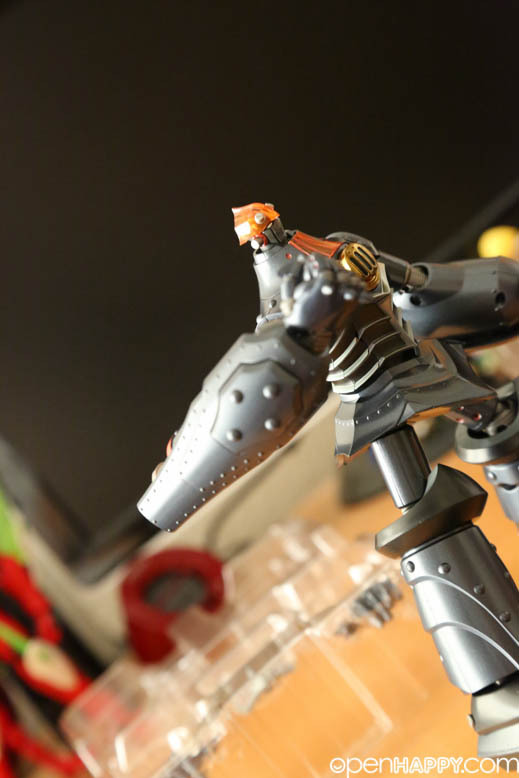 Nice pic, loving the camera. 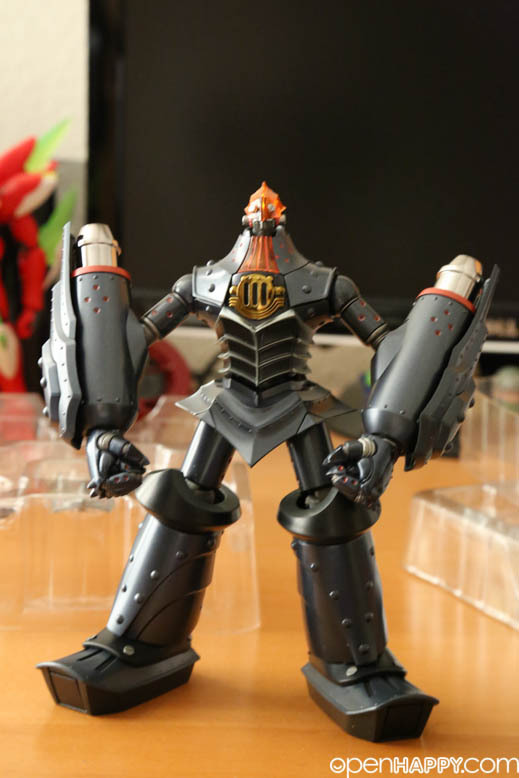 Checkout the huge arms. 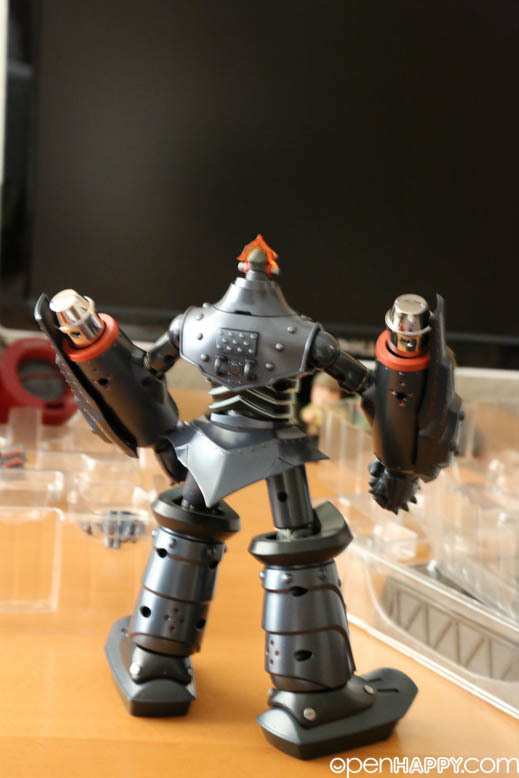 The base of the robot is pretty heavy, so it goes together well.. 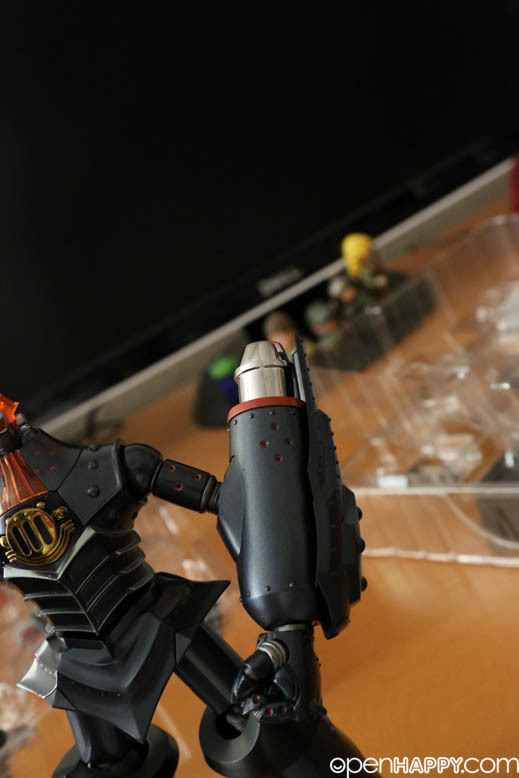 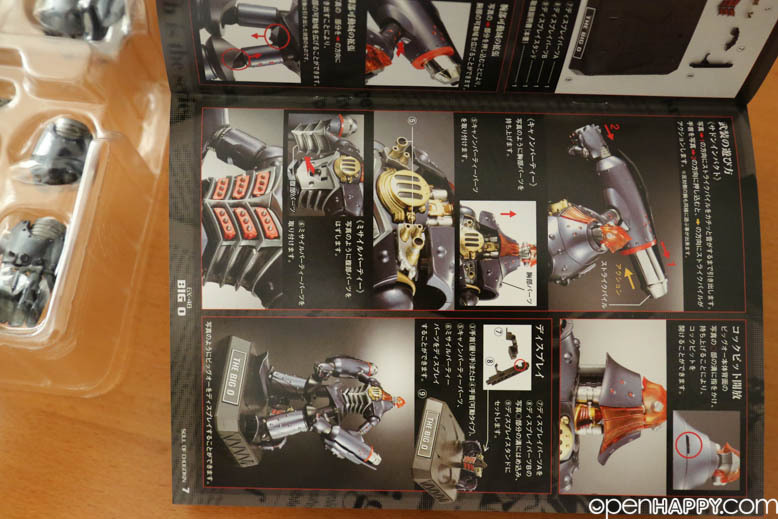 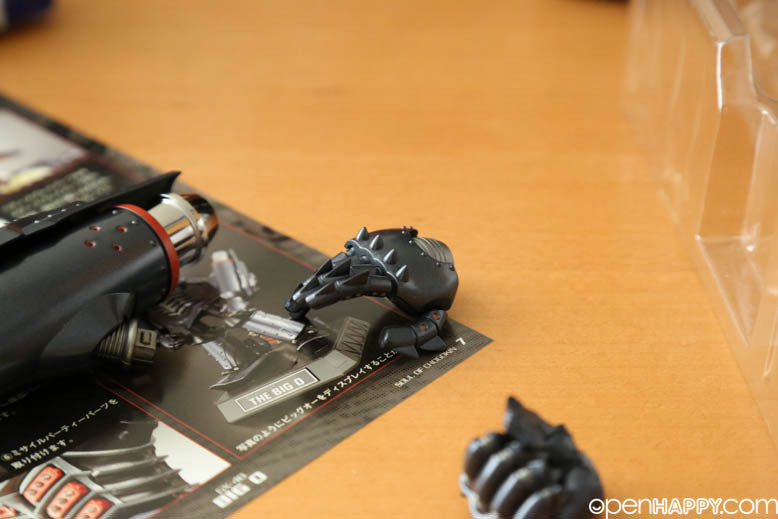 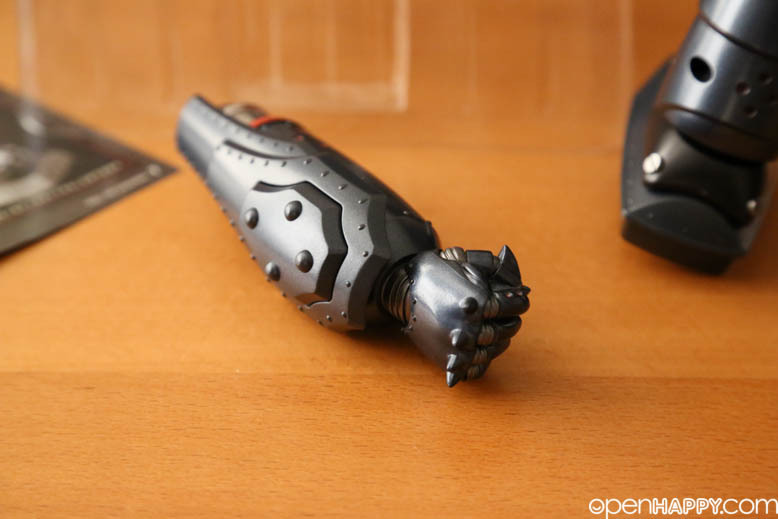 The back of the arm can goes up just like in the anime to power up. 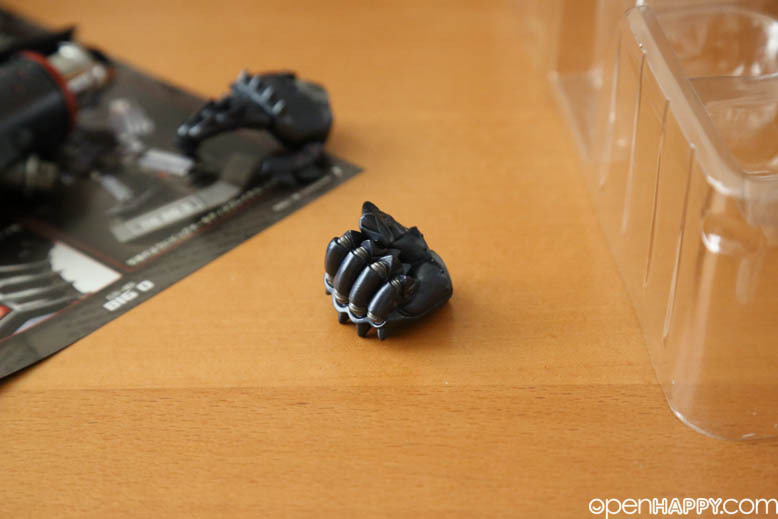 Press the fist will release the "power". 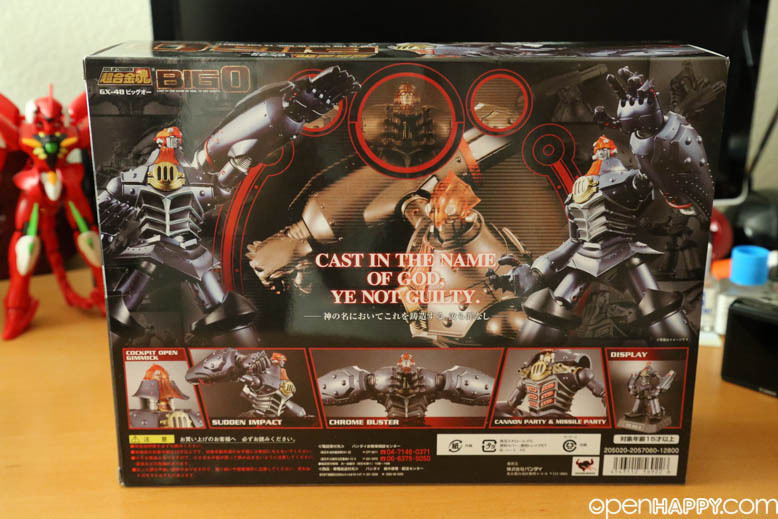 See the "Cast in the name of God Ye Not Guilty". 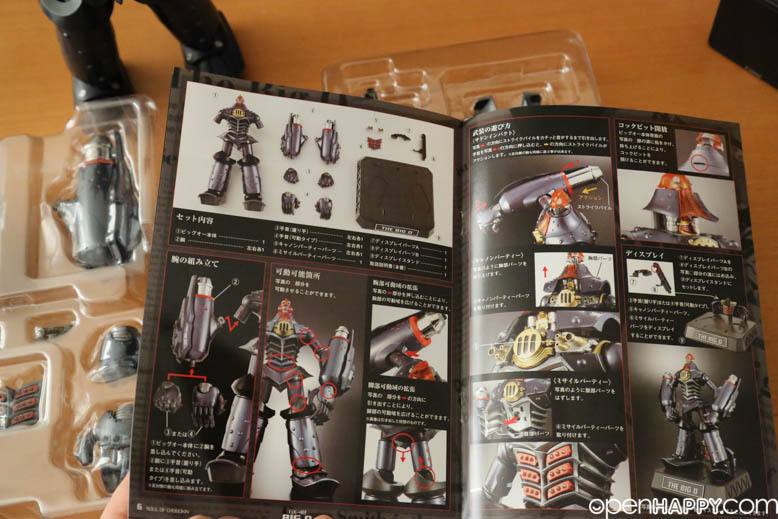 The base allows you to pick all the accessories there. 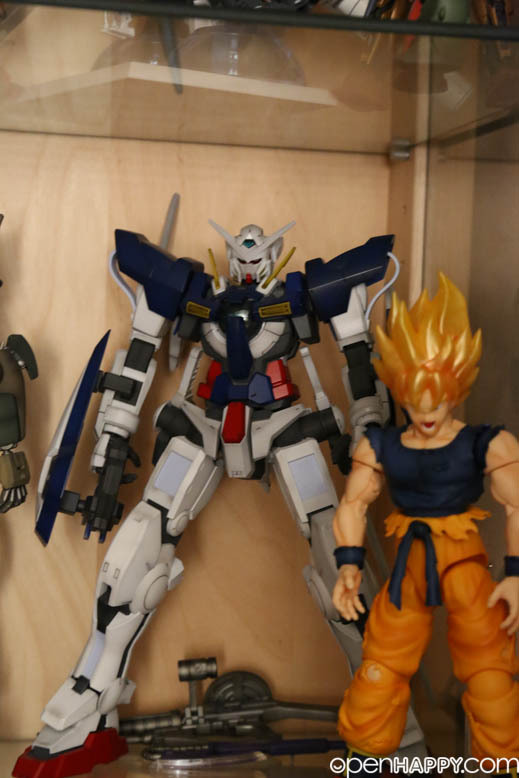 Lets put it on the shelf. 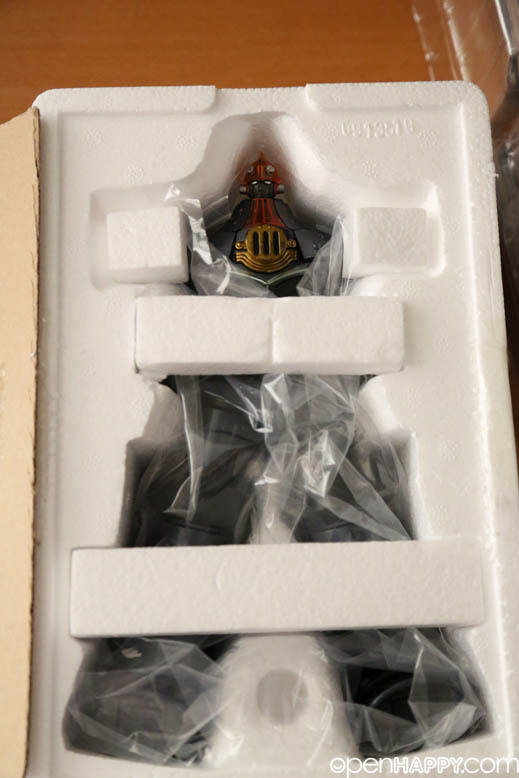 Let it be home for now.